Quicksilver in "X-Men: Days of Future Past." 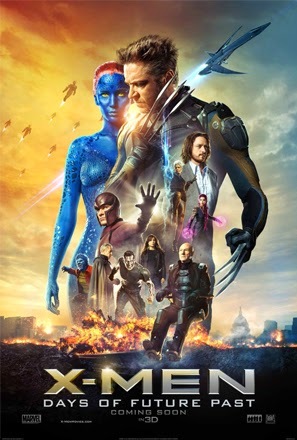 The most striking thing about “X-Men: Days of Future Past” is that it has somehow figured out how to seamlessly put all the pieces together taking elements from the original trilogy, the “Wolverine” origin movies, and 2011’s reboot, “X-Men: First Class.” All of the characters we’ve come to really love through this series are here. Along the way, a new X-Man (if you will) is introduced and thus begins the funniest, most entertaining half-hour of movie I’ve experienced all year. The character is Quicksilver (Evan Peters), a teenaged, kleptomaniac with supersonic speed, so much so that he can slow down time. His performance alone is worth the price of admission, and I missed him when his screen time was up. “X-Men: Days of Future Past” is of the best superhero movies ever made (see “Spider-man 2,” “The Dark Knight,” the original “X-Men”). It is an absolute blast that I would recommend to anyone even if you haven’t seen the others. And as a time-travel movie, it only makes your head spin in a good way. Note: This is a review written for The Courier News, Clinton, TN.